If you start fooling around with your kitchen scraps, you will disturb the fruit flies and they will disperse. The first thing you need to do is start trapping them. The quickest way to do this is simply to vacuum the fruit flies up. Station a vacuum cleaner where the flies are congregating. Switch on the vacuum cleaner and wave the hose in their general direction. 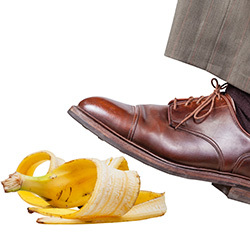 Be careful not to vacuum up worms, worm bedding, scraps or water. When the flies come within a few inches of the business end of a vacuum hose, they will get sucked in. This seems to kill them – we have examined a bagless vacuum cleaner, and all the flies were dead. Repeat the vacuum treatment several times a day until the population has dwindled. Pour an inch of apple cider vinegar into the bottom of a jar. Add one drop dishwashing liquid. Place a funnel into the jar or make one using a sheet of paper. Tape the funnel in place. Fruit flies will check in, but they won’t check out. They have difficulty flying straight up. Soon enough, they will fall into the vinegar. The soap breaks the surface tension, and they will drown. Leave this near the source of the flies until the problem goes away (at least 2 weeks). You can replace the liquid if it gets dirty. Tip: don’t place it directly in the worm bin. This actually works – see photos at the bottom of this article. Now that the vacuum and traps are in place, get to the root of the problem by taking away their food. Fruit flies are attracted to a yeast that results from the initial decomposition of plant material. They eat fruits and vegetables and lay their eggs in them. If you have any fresh or scrap produce on countertops, simply cover them or put them in the refrigerator. Make sure any fruit flies are brushed away or vacuumed first. In the refrigerator, you might need to store them in air-tight containers if they are already contaminated. 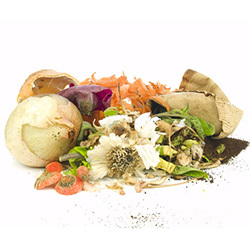 Kitchen scraps for composting can be frozen. Remove any large scraps that are tough to break down. If you see any very tiny white maggots or little dark pupae, chuck them outside. 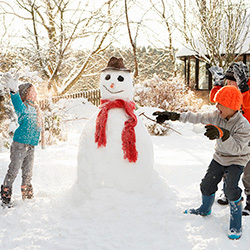 Make sure all scraps are buried. Leave nothing on the top. Sprinkle up to 1” of fresh bedding on the top. You can make it from, for example, coconut coir, pure peat moss and shredded paper mixed with water. This bedding should be a bit drier than a wrung-out sponge – too moist and it will smother your worms. Rub it between your fingers and thumb when adding, to introduce air for your worms. This extra bedding will make it really difficult for the fruit flies to find the scraps. Quit adding organic matter to the bin for a while. Give the worms a chance to gobble up all the scraps. This cuts back on the amount of organic matter in the bin. When you add scraps, make sure they are easy to break down. Bury them and cover with at least 1” of bedding. Fruit fly eggs take around 2 weeks to develop into adult fruit flies. You need to break the breeding cycle by following this program for at least 2 weeks. As soon as you see flies, repeat the vacuuming. Make sure the fruit fly traps are in place. Keep produce off the countertops and bury the kitchen scraps in the worm bin. Harmless but irritating, fruit flies can’t stop you from having a composting program. 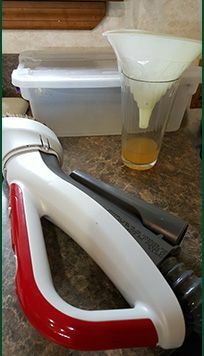 With very little effort, drosophila melanogaster can be eliminated from your home. 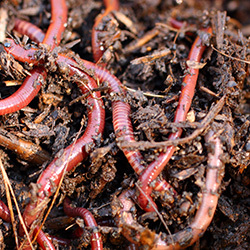 If you need composting worms, Uncle Jim recommends his Red Composting Worm Mix. Uncle Jim’s Worm Farm also carries a selection of indoor composting bins. Thanks very much. I will swing into action immediately. I’ll try and report later. 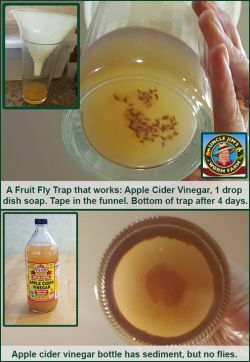 I’ve heard apple cider vinegar is a great way to get rid of fruit flies. I’ll definitely have to keep these tips in mind for my compost bin. Thanks for sharing the tips. I’ve found that leaving an unfinished bottle of wine on the counter attracts these little bothersome bugs too! The only thing that works better than cider vinegar is kombucha. Even better, put a piece of dried fruit in the liquid and I usually rid my kitchen in one day. Make sure the trap is the only source of food accessible to them, so do your dishes and scrub your sinks and counters. Can you suggest anything for a composting toilet?? ?